The holidays can be fun, family-filled times of good cheer and happiness, but they can also be very stressful, especially for those of us with metastatic breast cancer. MBCN posed the question on Facebook and also had a discussion group explore the topic. The first issue is how you want to be treated during the holidays. Another noted the “elephant in the room” question among some of her “less than loving” relatives. “Why is Mary still here? I thought she had an incurable disease.” Do you try to enlighten them about metastatic disease or just ignore it? “Um, not really, but I’ll play that game if that’s what you want to believe today. But what about the feeling that everything has to be perfect, that this has to be the most memorable Thanksgiving or Christmas or Hanukkah ever? One thing all participants agreed on was the need to simplify that to-do list of activities for the “perfect” holiday. Many of us agreed that limiting contacts to close family and supportive friends was critical. Simplify, Focus on What’s Important to You, and Ask for Help! This holiday season seek out those who truly support you and drop the rest. Simplify and focus on what really matters to you. And know that there are 155,000 people in the US alone in your shoes facing this same challenge and working out the solution that works for them. Also, you may find it helpful to read through our website Support section for suggestions on ways you can connect with others who have metastatic breast cancer. Happy Holidays from all of us at MBCN! Breathe in that sweet, cool November air! I live in New Jersey and I’ve been feeling a bit weary but triumphant this November, having survived a triple threat: Hurricane Sandy which knocked out power to my town for a week, a November 7 Nor’easter which dropped three inches of snow on us and… Pinktober. We all survived another onslaught of Pinktober and I’m happy to say that more and more of you participated in raising your metastatic voice above the cheerleading din of the ‘happiest cancer on earth’ to set the record straight and make some inroads into the misinformation that reigns. On October 13 I was at the MBCN conference (which was fabulous) and I was interviewed for some articles and media stories later in the month. 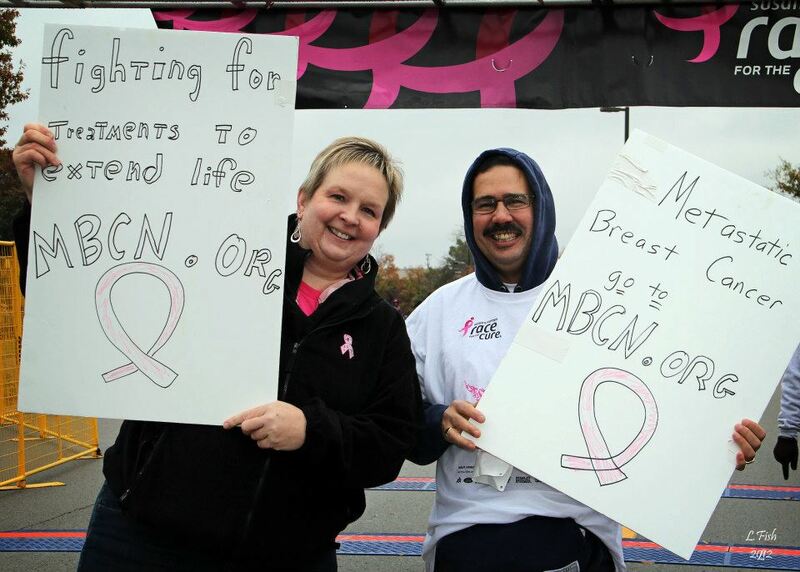 But, when I think of spreading awareness of mbc, my thoughts keep returning to a simple encounter I had with a woman with early stage cancer who was on a panel with me, Breast Cancer Perspectives, held at our local YMCA. The program was poorly attended because of the weather and lack of publicity, but it was a meaningful experience for all who attended and people lingered afterwards. My fellow presenter came up to me and said, “I never thought about breast cancer from your point of view and, as I was speaking after hearing your story, I thought for the first time that what I was saying might be painful or hard for you to have to hear all the time.” One encounter, one person whose perspective was changed. Did anyone have a similar experience? Or maybe you wrote a letter, told your story, donated money, attended a program or conference or posted a comment online. I will be creating a page on our website for 2012 MBCAwareness activities to show that one person can make a difference. Here’s a start to the page: a very brief sampling of interviews, articles and letters to the editor, proclaiming the complete picture of breast cancer, including those of us living on the darker side of pink. Please feel free to send me any additional links. Send me the links I’ve missed by commenting below! 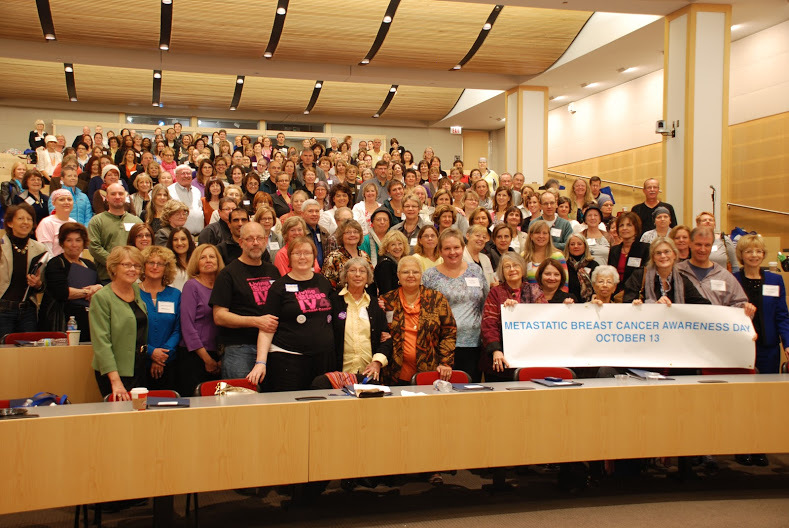 We are happy to announce that ALL of the SPEAKER PRESENTATION VIDEOS from the 2012 Metastatic Breast Cancer Network’s Conference in Chicago are now on our website and available for viewing. Review the sessions you attended or watch any of those that you were not able to see. 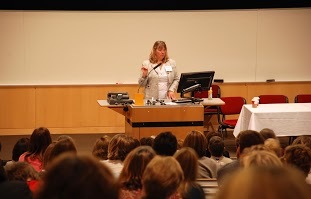 If you were not able to attend the conference, enjoy this virtual presentation. Each talk can be viewed as full screen, so that you can read the slides more easily. As a bonus, please note that all of our past conferences are listed on the website with previous presentations and remain there indefinitely. You are currently browsing the MBCNbuzz blog archives for November, 2012.